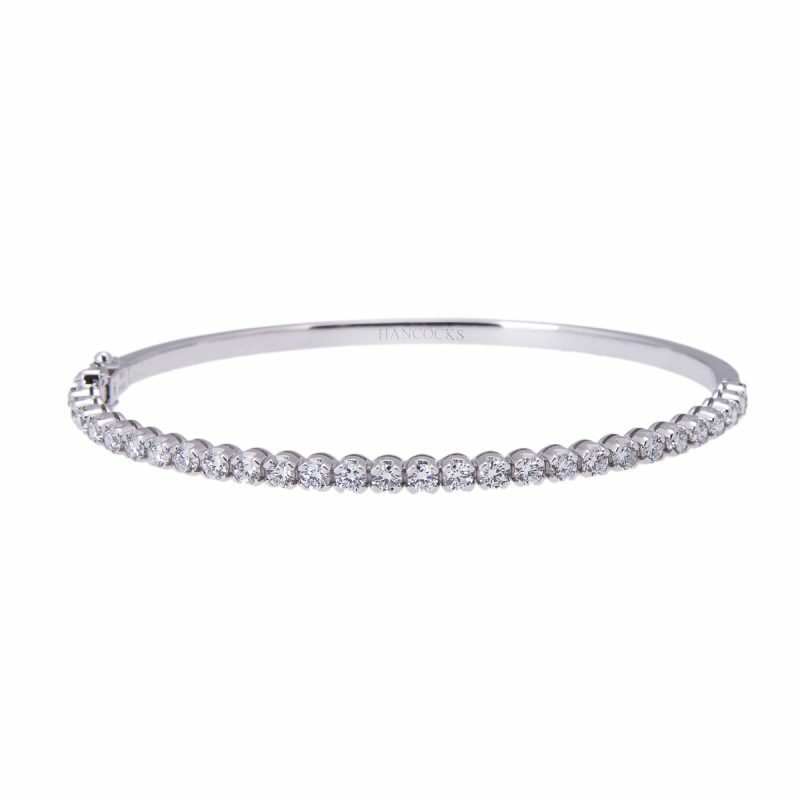 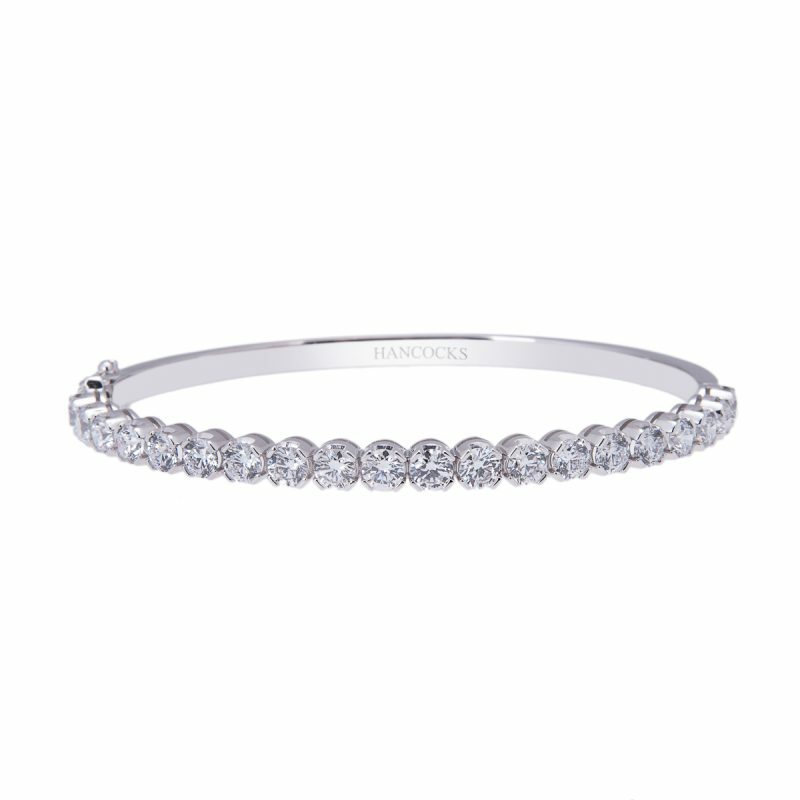 Gleaming gems in an elegant claw setting combine in this 18ct white gold diamond set bracelet. 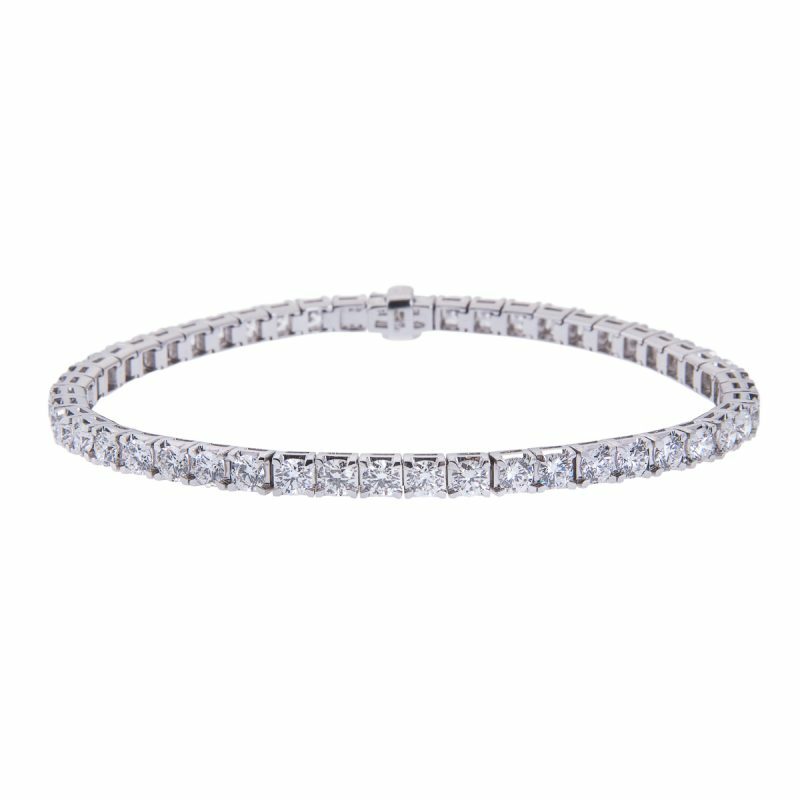 A single row of perfectly matched brilliant cut diamonds are expertly mounted in a fine claw setting. 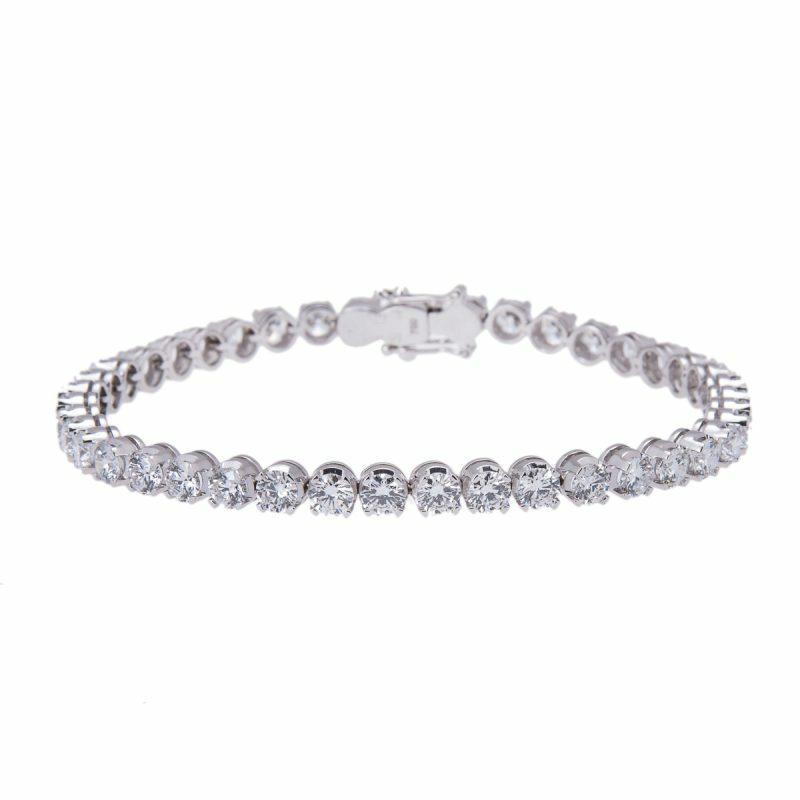 The diamonds have been mounted in a secure capped claw setting with a push in snap and double figure of eight safety catches to create this stunning effect.